Unidentified Signal Source – Page 2 – A blog about life, gaming, and everything. So I spoke about playing Albion online yesterday, and I’m going to follow up that post with what we actually went through after that was posted. We have been working primarily on gathering and crafting. My brother is doing mostly quarterstaff crafting, and I’ve been spread out mostly across the toolmaking tree. Specifically focusing the tools we were gathering with first, then later adding bags. When we started we had made some assumptions, like staves would be made from wood and leather, which turned out slightly incorrect. He was primarily gathering leather, with some occasional wood and cloth resources. Since I was doing mostly tools and those are pretty much exclusively wood and metal, that’s what I worked on. 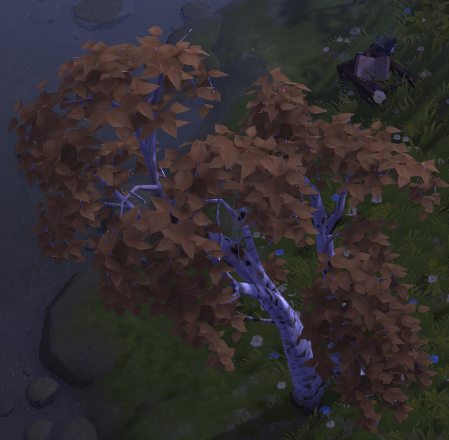 The good news is that two gathering trees each is a pretty even split of labor, though leather is quite a bit slower due to the need to kill something before you can harvest it. We very quickly progressed to and through the Journeyman (Tier III) skills. We ran into issues with the Adept (Tier IV) stuff pretty quick. We managed to branch out and find sources for the materials, but realized upon bringing them back that the refining and crafting facilities have their own tier, and the one in the starting town are Tier III, which means we can’t process, craft, or repair Tier IV things there. So we went on an adventure to the nearest large city, which did indeed have the facilities we needed, but it’s a random mix of availability and can cost quite a bit to process Tier IV materials. We figured maybe the private island would help, but we needed money, so we farmed mostly tier III materials and made what we could. I had started looking into other options because the T3 tools just don’t command much of a price. This led me to bags, which appeared to be one of the better priced things in tool crafting, and I have in fact made a good bit of money off of them. Between staves and bags, we got the island, about 10k, built a house, but couldn’t build refining stations yet. We kept at it and got enough to expand the island, 30k, and managed to build a farm plot, and two refining stations. With quite a lot of work and some money spent to refine T4 materials, we managed to get those two stations up to T4. However, they require food, apparently, and we don’t yet have the ability to make that, so we’re going to have to save up another 100k for the next expansion and hope that’s enough space to at least get things moving. At this point I’m considering if it would be worthwhile to have a second private island. Speaking of which, you can’t buy a private island at the free to play level. You have to currently possess premium status to buy one, and the three-day pass you get for finishing the tutorial doesn’t count. In all this we also learned that the market in the starting city is prone to price bombing, and the overall per piece price can be much lower there than the big city. So much lower that I suspect a lot of people were buying my bags for around 300 and reselling them in the city for 1k, so we’ll probably be moving most of our goods there and see if they sell better. Starting city might make for better throughput though, we’ll see. That’s the thing with processing. Each tier requires one of the previous tier plus 2-3 of the current tier material. Taking stone as an example we have Limestone (T2), Sandstone (T3), and Travertine (T4). Limestone converts to limestone blocks at a 1:1 exchange rate. Sandstone blocks require 1 limestone block plus 2 raw sandstone. Travertine blocks require 1 sandstone block plus two raw travertine. So to get the 150 blocks needed for a single building you need 300 raw travertine, 300 raw sandstone, and 150 limestone. Those last two make 150 sandstone blocks required to process the travertine, which as of last night cost around 3500 silver total in addition to all that. The next tier would likely require all that, plus 450 T5 stone and another bucket of money. Y’all take care, maybe don’t drink the kool-aid. I don’t think it’s safe. This is one of those games that I knew existed, but wasn’t intending to pay for so never tried it. This is partially due to the fact that I could never quite get an idea of what it was and some of the marketing focused on the PvP aspect. Remember that reddit post I was talking about the other day? Pretty sure Albion online is what that guy was talking about and looking for. That said, the number one thing that gets my attention is when there’s a 100% player economy in place. It’s a feature of many games I loved, and I’m always curious to see other implementations of it, rare as they are. The graphics are pretty simply and basic. Character creation was almost off-puttingly so. I made something tolerable and got through it though. I actually had to do the tutorial twice because I stopped mid-tutorial and couldn’t figure out how to get back to the island to finish it. The inventory is pretty straightforward. Items do have a discrete weight, but you generally see and use a percentage, visible just below the donkey. Mounts and bags increase your carry weight. Once you go above 100% you incur increasingly potent slows. They’re broken into tiers that I can’t name specifically. Above 175% or so you move so slow that it’s absurd. The highest I’ve gone was 240% while mining. It wasn’t worth it. The abilities available to you on the hotbar are mostly dependent upon the gear you have equipped. Pretty much each piece of gear gives you at least one button to press, at least in my experience so far. In some cases it gives you multiple different options and you must choose one. This is theoretically designed to allow for flexible builds, I guess? The processing and crafting are pretty straightforward gather & click style. Things can get a little more complicated with rarities, but other than a few lucky results, this hasn’t been anything relevant to me so far. The icons for the components are small and hard to distinguish from each other, especially wood and ore, so generally you have to mouse over it to see what it is. All the materials and equipment are broken up into tiers, visible in the difference between that Journeyman’s Sickle and Novice’s Demo Hammer by the background color and the numeral in the top left corner. The different rarities have different borders, but I didn’t have an example of those. The skill tree is a thing to behold, as it’s quite large. Basically doing anything gives you xp, which is called “fame” for some reason. Once you’ve gained a certain threshold you can either spend “learning points” to acquire it or continue doing the activity to finish off the xp bar. The learning point is right around the 25% mark, give or take. The lower tier skills can be acquired quickly and are relatively inexpensive, but once you get up to around the adept/expert level things start taking a lot more effort and cost a lot more points. There are also a lot of subskills, with some of them having their own internal level as well. This image shows the Miner Crafter which has multiple levels as well as a specialized subskill for the armor pieces. I’m not familiar with the combat trees, but each type of armor and weapon pretty much has its own skill/set of skills. 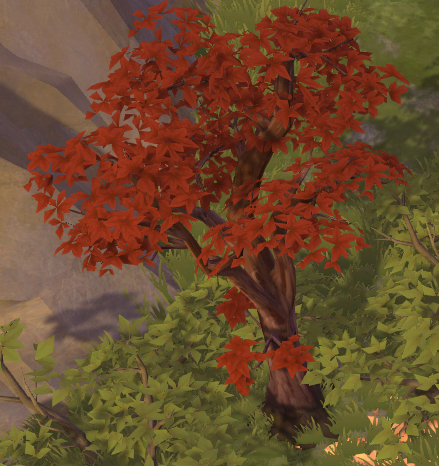 Here’s the first few tiers of trees, which are pretty visually distinct compared to a lot of other materials. That pine tree doesn’t exactly look piney though. Overall it’s not bad. Certainly better than I expected it to be, but I had pretty low expectations. We’ll see how things go once the massive influx of free to play players goes. Right now the server often has a queue during the popular hours and trying to get resources when everyone else is running around gathering it is it’s own form of PvP, even if nobody is getting killed. Y’all take care, I got about 4,000 pieces of tin ore to go get. Wow it’s gotten late. Been a really weird day with everything off schedule. We left to take the kids to an easter egg hunt when I would normally be writing my Saturday post. It’s the large event run by the city, which allegedly had some 12,000 eggs. They had fun, more or less. We also attended a significantly smaller one after that at a local community center. It was, however, a reasonably wet affair, as it rained off and on at the first one. My post on Albion online should be pretty easy to put together though. My brother has taken quite a liking to it so far, so we played it most of the afternoon. It’s…. better than I expected. Still, it’s about time to head to bed, so I’m gonna slide off here. Y’all take care, try not to step on to many eggs. This is one of those days where I feel like I don’t have anything to talk about. Not in detail anyway. I’m doing the same ol’ business in FFXIV and EVE, which isn’t very exciting to read about over and over again. This post is actually pretty late because I went and did other stuff hoping something more interesting would come up. Alas, this was not the case. I’m goofing off with Python a little bit, though. I wanted to see what goes into building a simple web scraper. Figured it couldn’t be all that hard, and it’s not, really. It’s just like my various little VB for Excel projects. I have to say, I really like the interactive interpreter portion of Python. 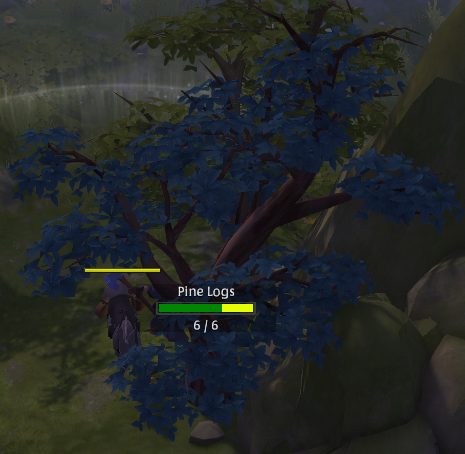 I’ve also started poking around in the now free to play Albion Online. I played less than an hour, enough to create a character and poke around. There’s a really good chance I’ll be writing a post specifically about that for Sunday. I did however manage to get a USB hub that seems to be working decently, so I can finally reconnect my flight stick and maybe poke around in Elite at some point. They made a little bit of noise this week when they talked about improving the new player experience. Things like creating an advanced docking computer that can take off as well as land, because so many people use the old one, and giving them to new players by default. That way they don’t have to deal with pesky things like crashing into the wall on the way out. Of course, if it works as well as the old one, it’ll still happen anyway. A choice I really don’t understand is creating a pocket of space exclusive to new players. One that cannot be entered by skilled pilots. I haven’t logged in for a while, but unless they’ve acquired a problem with starting system griefing I don’t really understand. All it does is keep the new players separate from the active player base. The biggest concern to me is that this means they feel like they need to improve it because they have very few new pilots and/or extremely poor retention. Of course, it doesn’t exactly help when people like myself play in PvE only private groups. None of their new players would ever see me. Maybe they should look at giving people a reason to actually play in open. Other than that it’s just a bunch of small stories. Someone discovered a new unimplemented rainbow rarity in the code for Borderlands 2, FFXIV expansion page got updated, and a Forbes article about Dragon Age 4. That last one is kinda sad, but expected. A profitable formula has been discovered and will continue to be used until they know what the market will tolerate. Big AAA titles are expensive and might sell a lot of copies, but only every once in a while. A multiplayer game in the games-as-a-service model might not sell as many copies, but provides income over its lifetime, probably with better player retention, instead of a giant burst in the first year trailing off to practically nothing. Oh wait, I can’t because it isn’t available on Android yet. I was just reading an article over at Forbes, ‘Elder Scrolls Blades’ Is A Glimpse Into The Potential Dystopian Future Of AAA Games. The author seems somehow surprised that a mobile game contains normal mobile game monetization. I didn’t really see him mention anything that makes the game seem particularly egregious. Even his main complaint regarding the chests and chest storage seemed a little out of place. Replace the word chest with the word Pokemon and it suddenly seems less foreign of a concept. Of course, in his defense, I cannot actually try it for myself, so maybe he’s correct and it’s the most absurd mobile game ever made. What really amazes me is that anybody can see a mobile port of any major gaming franchise and not go into with the expectation that “it’s a mobile game, but vaguely resembles this popular franchise.” Maybe I’m just to cynical and jaded, but it seems strange to expect anything else. While I wouldn’t say that this is the future of our games, I will agree that we should simply expect this to be a thing. These games cost relatively little to produce, with many famous titles have development costs of less and $500K, yet have the ability to pull many times that in revenue. They aren’t even inherently bad games in many cases, just a different kind. Of course, they aren’t immune to failure either, but the cost can be low enough that it’s easy to at least break even. I don’t know exactly how the wait timer mechanic came to exist. I can’t at this time find out precises how and where it was introduced either. I always just assumed it was added to keep people from playing “all the time” and then later monetized, but maybe that’s overly optimistic of me. I do think we will eventually see more and more of these mechanics in the so-called triple A titles that are popular now. It has to be done extremely slowly, and the first one to do it is going to get raked over the coals hard. The foundation is already there, though. Lockboxes already exist in many games, especially the free to play ones, but not exclusively. How is a daily login reward, especially a random one, inherently different from a chest with a 24 hour unlock time? “Current content” raids in XIV often have a per day or per week limit for “fairness.” Secret World Legends, if you’re paying a sub, gives you a free key every day to unlock a box with. It’s all the same thing, with the notable difference that some of these are mandatory and can’t be skipped by paying. Only some of them though. This means, though, that the biggest difference is only in how it’s presented. How it appears to function to us as a user. Of course, this has led me to the conclusion that unskippable wait timers are inherently more fair than pay-to-skip ones. The latter give an advantage to the fiscally gifted and/or fiscally irresponsible. Of course, life is inherently unfair, but are games are aren’t meant to be hyper realistic. We enjoy them because it’s life with the boring and unfair bits partially removed. I saw an interesting headlines this morning from Massively OP, Adventure Academy is an ‘educational massively multiplayer online game’ launching May 1. 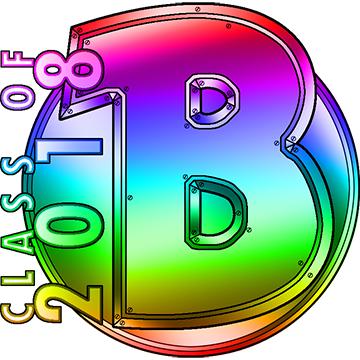 This caught my attention because my oldest child’s class has somehow managed to secure “member” status for all of them on Prodigy, and my middle child was quite upset about this. If I can find a better video I may show it to them this evening and see how they react. The 45 second one seemed unhelpful, though I watched it without audio. I’m certainly interested in taking a look at it when it rolls around next month. I’m not extremely familiar with most of the other products of this type, like ABCMouse which is from the same developer, but my children have used all of them at some point. I’m sure you’ll hear about it at some point in the future. I also came across a cool article from The Economist, Mistakes, we’ve drawn a few. It’s a look at some of the charts and graphs they’ve published in the past and how they can be improved in a variety of manners. I learned a decent amount myself, as I hadn’t realized just how easily a dual-scale chart can be manipulated to imply a correlation. Not that I’m one to talk. I look at some of the data I gathered at work five years ago and see common errors. One of them is treating an exploratory gathering of data as evidence that a correlation exists. I tracked as many variables as I could think of, compared everything until I found a correlation then pointed at it and called it causation. This… this is bad science. Of course, there’s nothing wrong with exploratory data, as long is it’s taken in context, and we all live and learn. I did have the sense to continue watching those variables, though not exactly tracking them as closely. With a year of data most of my correlations evaporated, or at least could be stated to not be directly causal. To this day I believe there are other unknown variables at work and I’ve learned to live with the fact that I cannot predict or control it. It simply is whatever it is and I must work around it. In totally unrelated non-news, I finally and amusingly received an official acceptance letter from the local college I had applied to. I had learned by chance that I had been accepted and they simply didn’t get in any hurry to notify me. I had gone to check and make sure they received and updated the last of my immunization paperwork and they didn’t need anything else and saw that it had changed to “Decision made” and “Institutional Acceptance.” I got doubly curious and wondered if the listed username, email, and password would work and they did. It would appear they accepted me some three weeks or so before the acceptance letter went out. To their credit, I’m sure they just batch mail these periodically because nothing in this process gets in a hurry. I am not a patient person when I’m motivated and it’s been driving me up with wall. I’ll probably call the financial aid department this Friday and see if they’ve received, reviewed, processed, or whatever. They haven’t made a habit of keeping me updated, but I know it’s been processed and sent. Assuming that turns out satisfactory, I must simply pay the $40 fee associated with their mandatory orientation at which point I’ll meet with the assigned adviser and actually register for classes. Yay? Of course, that orientation isn’t until mid-May, which seems like forever. I’ll have written some 35 more blog posts between now and then. Having arrived, of course, this post will seem like yesterday. I need to wrap this up and wander off though. Maybe head over Wilhelm’s EVE Online April Update post. I’m cautiously optimistic that I can read it without hearing about Brisc Rubal. Y’all take care, be excellent to each other. Assertiveness and Callousness – Two Sides of the Same Coin? I swear this is like the fourth draft of this post I’ve written. I just can’t seem to find a way to express the idea that’s concise and on topic. I still feel as though I have only succeeded in the latter. The problem, both the one I’m speaking about and post itself, really boils down to cognitive dissonance. There are a lot of conflicting thoughts and factors bouncing around in my head and the effort of reconciling them is… a noticeable strain. As are the ones that have yet to be dealt with. Unfortunately this has left me in a somewhat fouler mood than usual, which is problematic in that I don’t consider myself a particularly nice person to begin with. Of course, that isn’t the side of myself that is generally presented outward. In a way, the outward expression is a better gauge of my impact on the world and I at least feel that this blog is generally positive. At the very least, nobody has bothered to tell me otherwise. Introspectively, though, I find the view much darker, and take comfort in the fact that this is likely a common thing to experience. Of course, even the more unpleasant and discarded thought are inextricably bound to the positive ones. I have not generally considered myself an assertive person. Five to ten years ago I was very much a follower, content to go wherever the current took me because I was sure there would at least be something interesting there to tinker with. At least until the current again washed me away to some new destination with new things to see. Then, through a series of unfortunate events, I was required to become decisive. The sort of hard and cruel choices to which there are no good answers. I learned that while I must bear at least partial responsibility for the unknowable outcomes of those choices, I did not have to blame myself for them. That who I was, at that exact moment, would likely always make that choice. I powered on in the hope that one day things would improve. That ground was being gained, an inch at a time, and perseverance would see it through to the end. It did, of course, though the process from one end to the other had a fairly heavy price. It nearly cost me my immediate family and to this day I do not speak to my parents. I have a court order that says they aren’t allowed to contact me unless I contact them first, and have every intention of keeping it that way in hopes that it can prevent history from repeating itself. It provides a certain amount of confidence, though, when you persevere and succeed. In a way it makes so many other things small and irrelevant. Next to the obliteration of everything I worked to preserve, something like getting fired feels meaningless. Compared to cutting myself off from my extended family, the judgement of random internet strangers is… amusing. It has simultaneously left me cold and callous and yet empowered. The upside of all that is it enabled me to undertake things like this blog. I mean, who’s gonna stop me? I stood to lose nothing but a little time, what’s a month, after all? I stood to gain a lot, though. Blaugust had, and presumably has, an audience. As far as I know most of my readers came from that group. I started simply to prove to myself that I could. Of course, this leaves my job as nothing more than a means to an end that I tolerate because it is convenient. The conveniences it provides, though, are difficult to replace. It is the cement that holds me against my will. Which is why on the back of blogging success, because I consider only missing a few days over eight months a success, I chose to apply to a college. It’s really weird to me, though. That assertive power feels tainted, like Saidin, the male half of the Source in the Wheel of Time books. The more assertive I become the more angry and dismissive I am, a truly horrifying thing for me to behold in myself. It somehow makes people seem more like obstacles to move around or through and less like, well, people. That’s the big source of cognitive dissonance right now. Trying to find that zone where I can remain assertive without dehumanizing anyone. I’m sure I will find some balance eventually, and I’ll find I need to tweak it a little here, a little there, but the toll it’s taking seems excessive. Each draft of this post has left me drained, at least briefly, and the daily repeating of it grows tiresome.